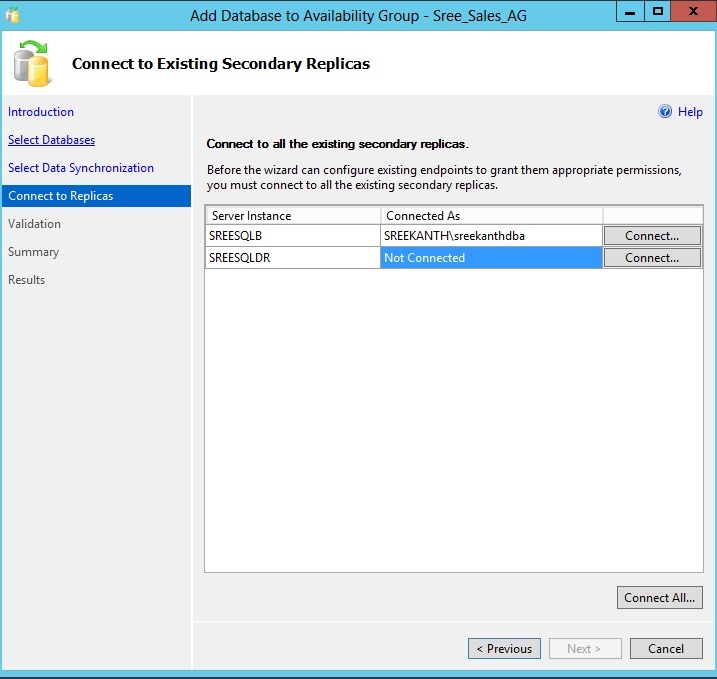 How to add a new Database to an existing AlwaysOn Availability Group? 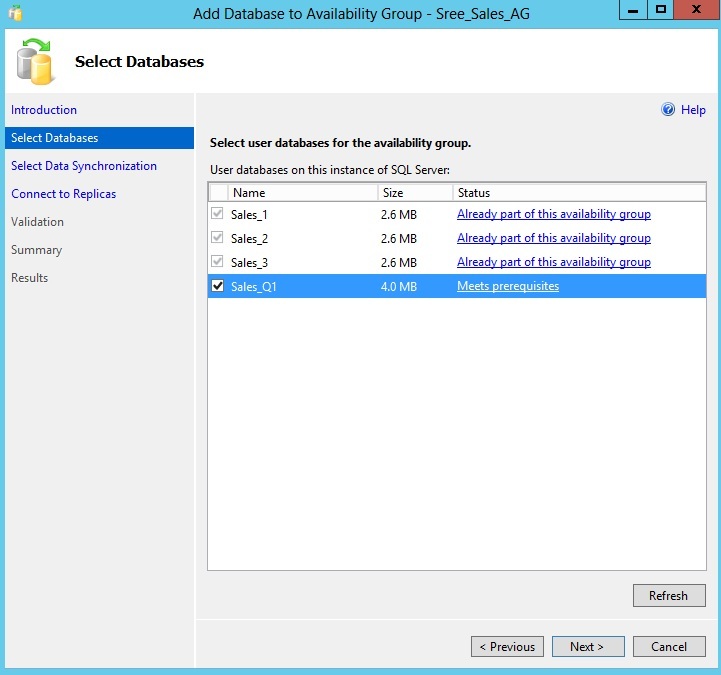 In this post, let us see how to add a new database to an existing AlwaysOn Availability Group. Let’s assume we’ve a sales AG already in place and application team requested us(DBA) team to add one more Database to this Group as they need them to be available all together. 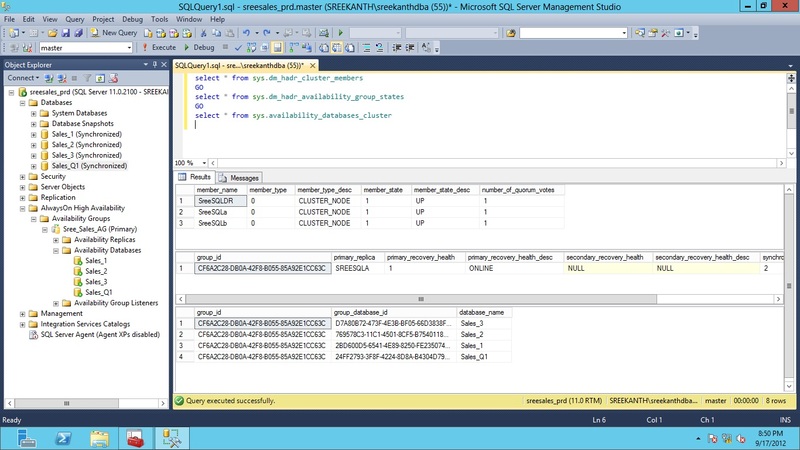 For this Example let’s assume the new Database Name is “Sales_Q1” – Of Course this would be more realistic Name in your Real world deployments! 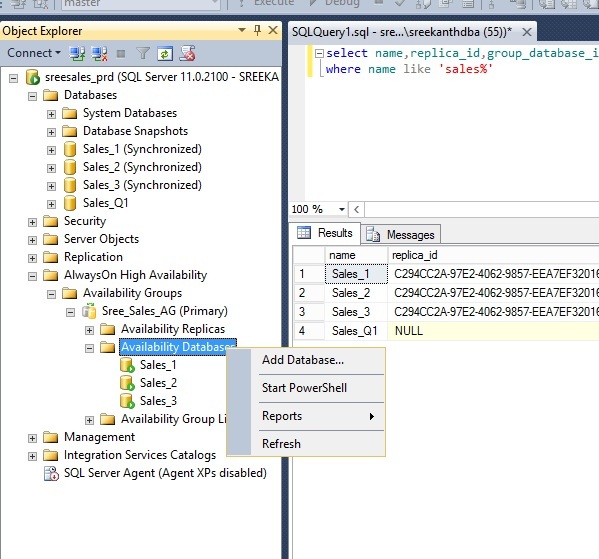 At a glance, you can see 3 Databases currently Sales_1, Sales_2 and Sales_3 participating in my AG. Also you can see only 2 nodes out of 3 are Powered Up(See SreeSQLDR status as Down) and the Primary Replica is SreeSQLA. As you can see I’ve just created a new Database(Simple Recovery Model) which is not yet added to my AG. 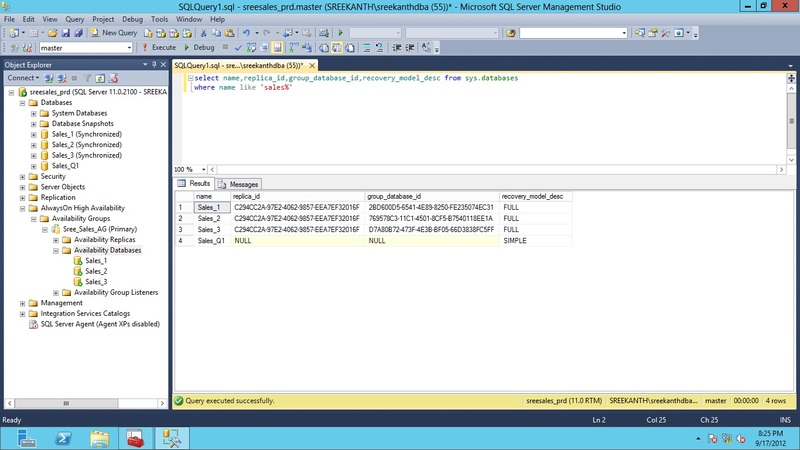 Now, let’s try to add this Database and see how SQL behaves by default. 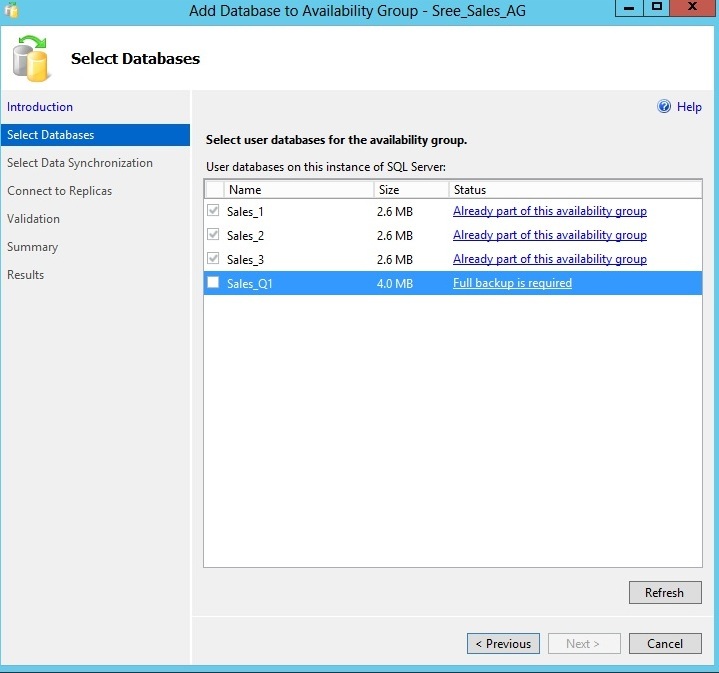 Step1: Right Click on Availability Databases and select Add Database. 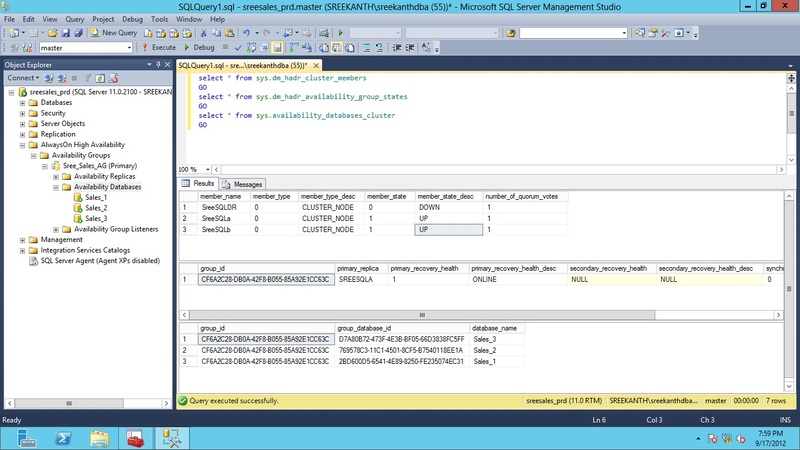 As you can see Wizard is smart enough to recognize your Database needs Full Recovery Model to participate in your AG. Cool…now it says you need a Full backup to be taken. 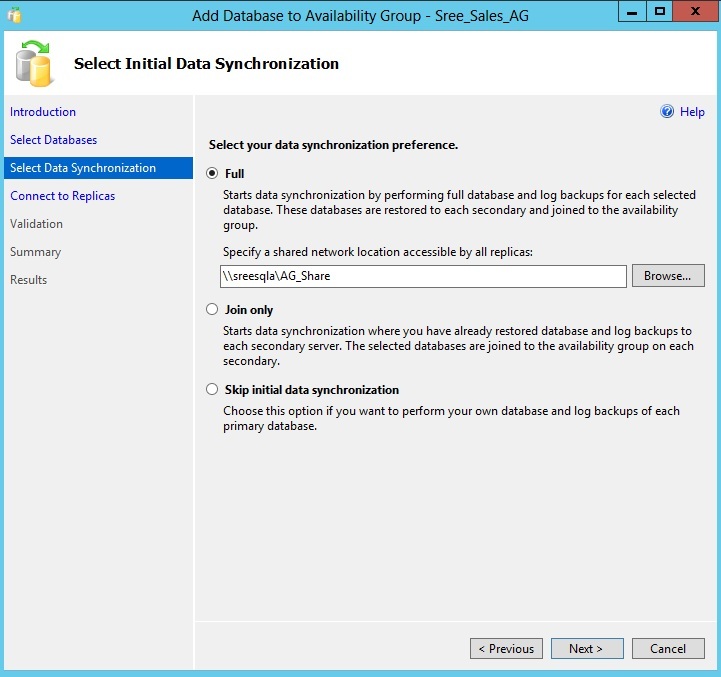 Step 5: Now it’s time to choose how do you want to start synch. I’ve selected Full by providing the share(I placed by backup here) where all my nodes participating in my AG have access to. As you can see in the above Screenshot I’m not allowed to proceed any further. (Remember from my first screenshot? I didn’t powered UP my DR Node…) Just wanted to show you how this wizard behaves if any one of the nodes participating in AG is down. Once, I powered up my DR machine, I was able to connect to that Instance and was able to proceed Next. Note: You can script out the entire process while you are at summary Screen. Finally, see below for how it looks once I added new DB to our AG. You can see Sales_q1 added to the AG successfully. Perfect! Hope this helps. 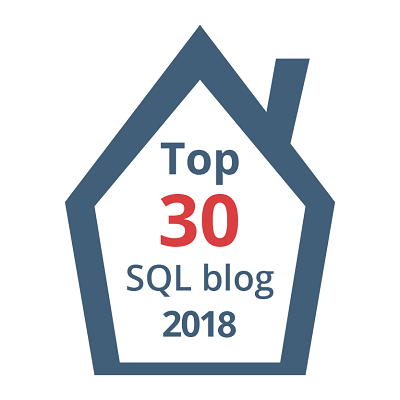 Previous Article What’s the worst advice you’ve ever seen(got) on a SQL Server Database…? I have taken full backup still it shows same message. Can you please explain step 4, where to keep that backup file ? I have taken full backup to add a DB in AO, still I am getting same message. Could you please let me know where to keep the backup file(step 4) ? Are you sure you’ve taken a full backup for the first time for correct database? Not a copy only backup? Yes am sure it was a full backup and we tried it couple of times. you will also have to take transaction log also after that and update on secondary node. This is very helpful Srikanth!! 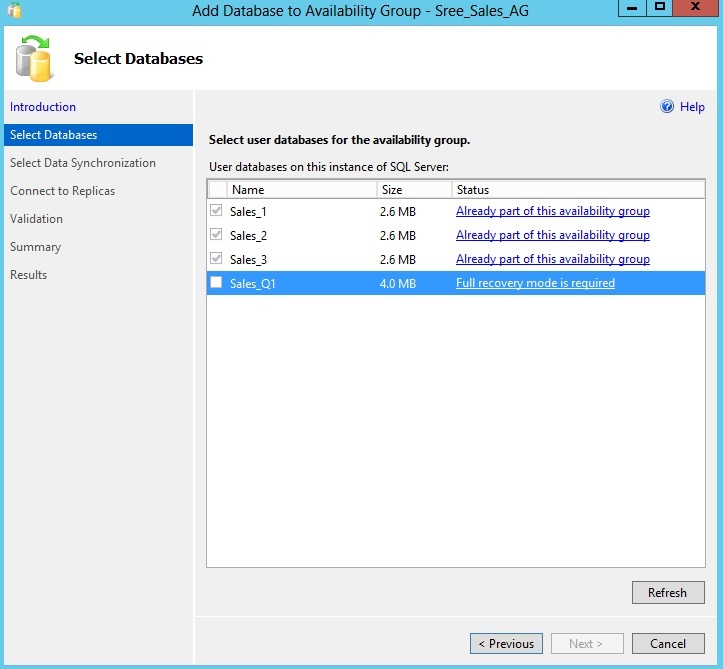 can the backup file be deleted from shared location once the database is in availability group?